Thanksgiving is a holiday where they are typically a lot of leftovers. One of my favorite things to make is a big sandwich with leftover turkey, stuffing and cranberry sauce, and that will usually be my lunch on the day after the big dinner. But sandwiches can get a little boring after a while (and sometimes there are a *lot* of leftovers! ), so sometimes I want a recipe that doesn’t come sandwiched between two slices of bread that still lets me use up some leftovers. This Turkey Cobb Salad is a good option. My Turkey Cobb Salad starts with a bowl of romaine lettuce dressed with a little bit of vinaigrette. It is topped with turkey (of course), tomatoes, cucumbers, a hard boiled egg, bacon, blue cheese, cheddar cheese and avocado. All of the elements of the salad are arranged around the outside of the bowl, which gives it a really nice look before it is served. Once you’re ready to eat, the salad should be tossed so that you get some of almost every element in every bite. It has tons of flavor and the salty bacon, creamy avodavo, savory cheese and moist turkey all go together incredibly well. The amounts given below are approximate, as I like to “eyeball” salads based on how much of each ingredient I have on hand and you should, too. I’ll usually fry up 2-3 slices of bacon for the salad, but will make more if I have more mouths to feed.Â I’ve had some cobb salads where the lettuce is so finely chopped that it is almost shredded. I like mine cut a little bigger than that, but feel free to chop the lettuce however you’d like. The salad will be a nice contrast to heavy Thanksgiving dinner no matter how it is presented. And best of all, you can size this recipe up to serve a big crowd or down to serve just one. In a large bowl, combine lettuce and vinaigrette. Toss to combine and season with salt and pepper, to taste. Transfer to a large bowl. Around the sides of the bowl, arrange the turkey meat, tomatoes, egg, bleu cheese, bacon, cheddar cheese and cucumbers in small piles. Place thinly sliced avocado at the center of the bowl. Serve the salad as is, and toss before serving. Recipe can be easily scaled up to serve more people. Makes one big salad, serves 2 as a main course. Baking Bites is now on Pinterest! 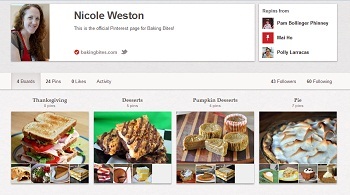 Next PostNext Baking Bites is now on Pinterest! You said exactly what I was thinking. Turkey sandwiches are good, but get a little boring. This sounds great and probably much better for me. This looks really delicious. We have a whole lot of turkey leftover so this will be a great option! So delicious looking, I think this is going to be dinner!! 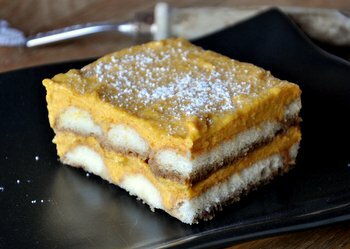 Adding some leftover sweet potatoes is also a delicious option! 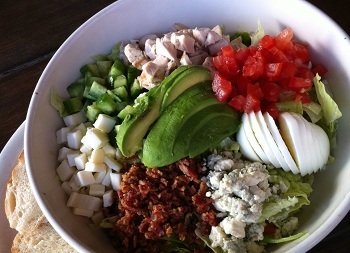 Just had a slightly modified version of this Cobb Salad. It was plenty for the two of us! We had it with leftover chicken instead of turkey, and left out tomatoes, cucumbers and boiled egg and it was absolutely delicious. I’d recommend putting in a little more lettuce and a little less cheddar and trying it with a lemon honey dijon vinaigrette!